Spectronics Corp.’s AccuMax series digital radiometer/photometers provide accurate readouts for UV irradiance, visible illuminance and luminance light readings. The readout units are calibrated for use with a full line of interchangeable sensor detectors. Applications include fluorescent inspection and UV dosing. The device offers overall accuracy of better than ±5% with reference to NIST standards, and it features a large, easy-to-read monochrome LCD screen, and automatic shutoff and user-defined power-save features. The readout unit weighs 1.1 lb and measures 4.25 × 7.75 × 1.25 in. 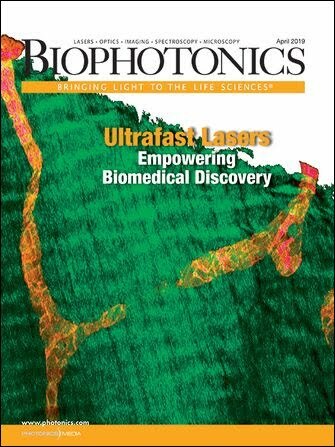 BiophotonicsBreakthroughProductsdigital radiometer/photometersSensors & DetectorsSpectronics Corp.